The photos are of ‘Gardeners’ World’ shoots from around 1989. This was just after the programme moved to single camera production, instead of a two camera outside broadcast. 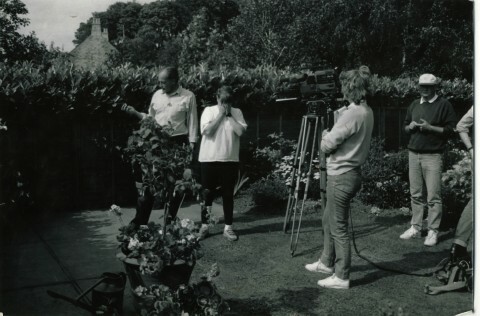 The first includes (left to right) presenter Nigel Colborn, director Annette Martin, PA Gail Herbert, sound Paul Taylor. 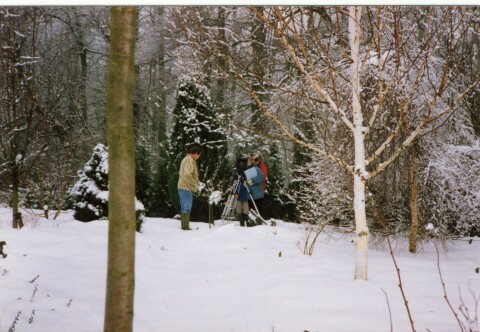 The second photo is taken at Barnsdale, presenter Geoff Hamilton’s garden, and main location of the popular series in the 1980s. 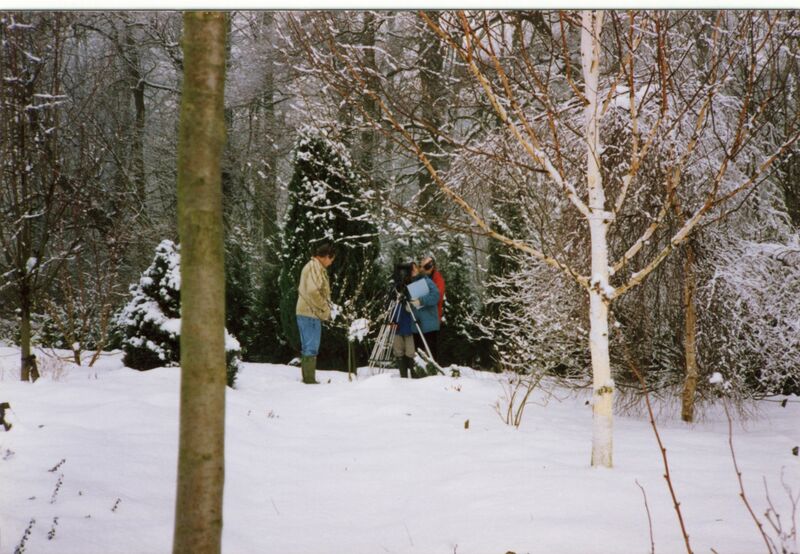 It shows Geoff recording a piece to camera in the snow.